If you are Yoga practitioner for some time, you probably know that Yoga is not only about practicing asanas to stretch your muscles or improve your body functions. But meditation is a part of every Yoga session. Most people do a short meditation before starting the session and short meditation afterward. This helps you to be focused on your practice and relax after, so you will recharge your energy levels. Nidra is not hypnosis, nor is it sleep. At the first full-length nidra I went to, we moved through an evening flow of postures, then zipped up our sweatshirts, put on socks and laid on our backs on mats with pillows under our knees and heads. For the next 45 minutes, we lay in the dark as the instructor guided us through nidra. I don’t remember much of the guided relaxation. I vaguely remember being asked to bring awareness to each of my fingers, toes and the rest of my body parts. This is yoga nidra. It can take you someplace else. We typically spend our days in beta brain waves, an active and alert state of mind. Nidra can help lead you to the next level of alpha waves, a relaxed and more passive state, into theta waves, an unconscious, half-asleep state where there are still images and streams of thought, and into the last stage of delta waves. This is a state of deep, dreamless, non-REM sleep where one still has awareness of one’s surroundings. In meditation, you stay in the waking state of consciousness. In nidra, you aim to leave the waking state, go past the dreaming state and go to deep sleep, yet remain awake. Of course, entering the delta state mostly happens after consistent nidra practice. Numerous benefits come as soon as an alpha state of mind is reached. It can help with insomnia, stress and anxiety, digestive conditions, chronic pain and cancer. It can help lower blood pressure, boost your immune system, increase blood flow to the heart and balance the autonomic nervous system. I recommend everyone involved in any Yoga practice, martial arts or even to everyone interested in personal development to try the Yoga Nidra meditation. 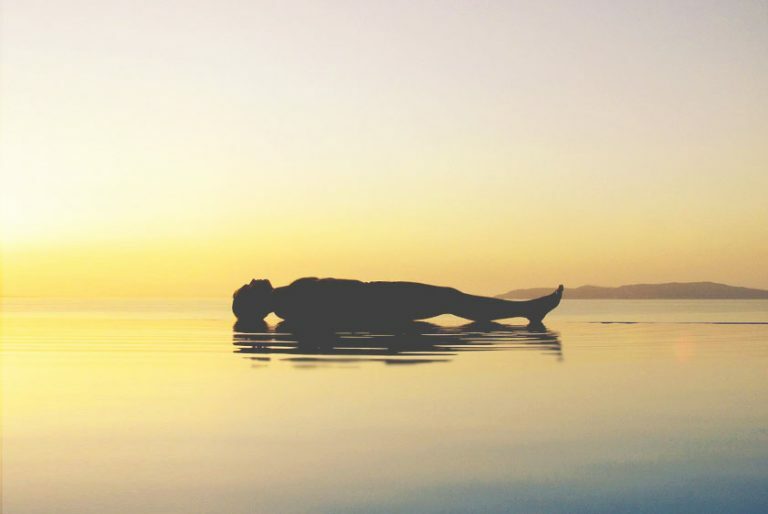 You will get into the best relaxation state where you are tapping into the higher energies, which can give you many benefits not only in your health and fitness but in all your personal and business areas. Do not forget to share this article with your friends on Facebook or Twitter below, if you enjoy this reading. You will help us to get more great Yoga tips out there. Thanks a lot, Namaste.